Any behavioural problems? Boris is a real character. He loves to come out of his cage, run around and create mischief. He likes to interact with people but on his own terms. 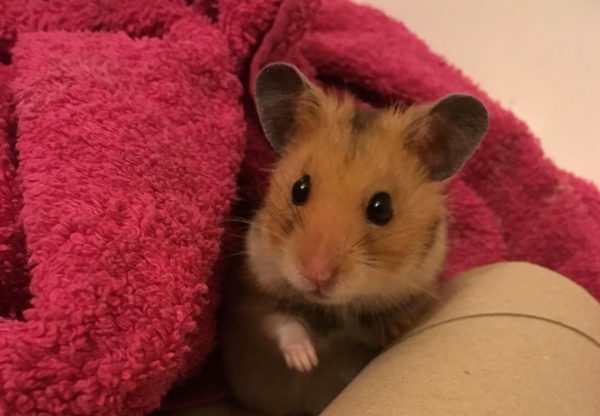 Type of household hamster would best be suited to: (example, family with kids, no kids, no other pets and so on) Boris would like an adult home with some experience of syrian hamsters. Regular time out of the cage for rampaging is a must..